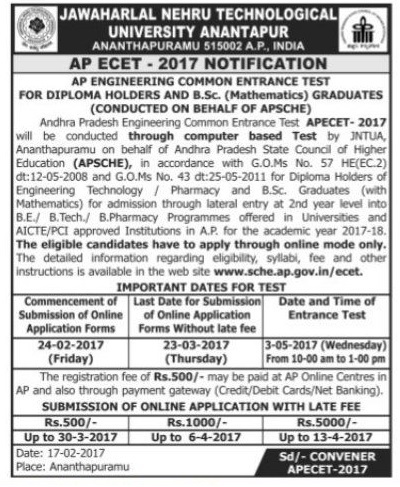 Ap ECET is a Engineering Common Entrance Test for Diploma holders and B.Sc(mathematics) Graduates conducted on the behalf of APSCHE. This AP ECET 2017 NOTIFICATION announced on 17-02-2017. These Test was conducted by JNTU Ananthapuram.